If you know anyone who appreciates a tipple and has ever reached for their favourite bottle only to find it empty, then this is the answer to their problem. 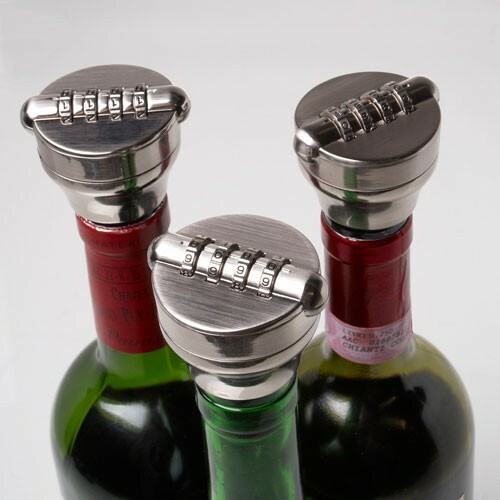 This clever item puts a stop to any petty pilfering from the drinks cabinet and is sure to put a smile on the face of anyone in your life who enjoys a wee dram of something special every now and again. The bottle stopper is a robust, brilliantly engineered product that works equally well on wine and spirit bottles. 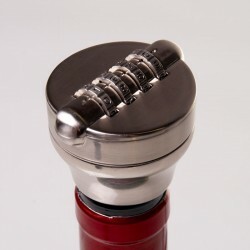 Made from stainless steel you can set your own secret combination and then simply press into the open bottle neck, tighten and voila, drinks secured. A fantastic gift for the lover of premium spirits and fine wines that may well need protecting from thirsty family members or housemates, once this purchase has been made rest assured the drinks cabinet will be defended. I haven't actually used it myself yet, but the recipient of the gift seemed to think it was great! Sent to a friend as a present so did not see the product. Friend was pleased with it and thought it funny. I bought this for a friends birthday after a number of bottles of expensive spirits were...ahem ...depleted (we share). 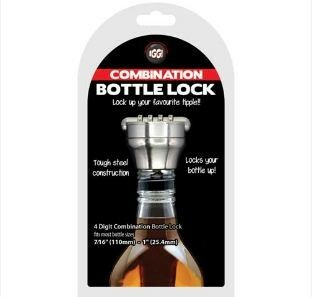 He laughed his behind off and despite various tests none of us were able to crack the code or open the stopper. 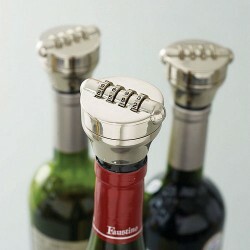 Great little gift! Service excellent, presentation and packaging excellent, but the product did not stand up to being used more than once: once the combination had been twisted the wrong way in error, it proved impossible to reset, and is therefore now unusable - what a shame.